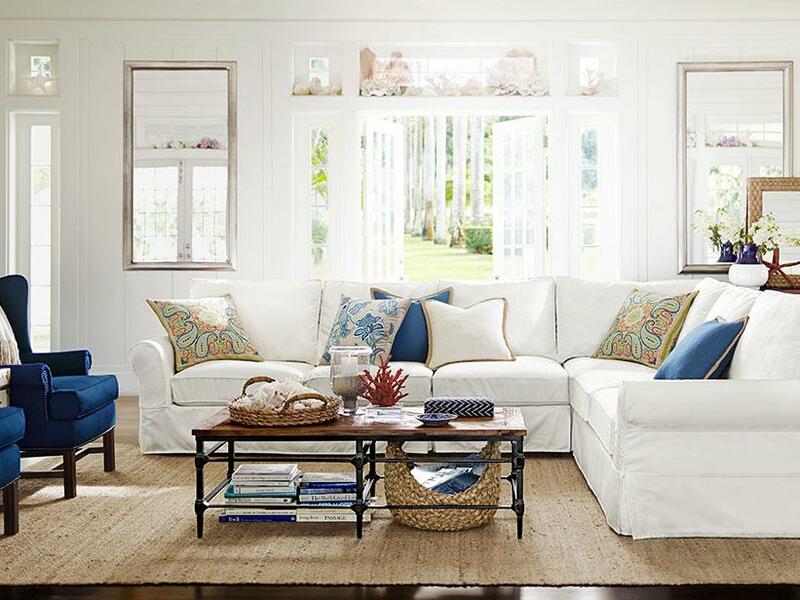 Every time I hear anything about styling coffee tables, I will always think of Kramer from Seinfeld! A coffee table book about "Coffee Tables!" I'm laughing just thinking about it! We love some Seinfeld in this family! 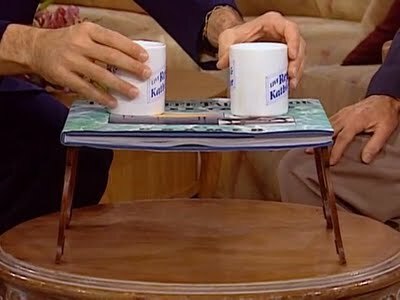 I do think that Kramer was on to something about coffee tables. It's a very important part of your room and all activities. 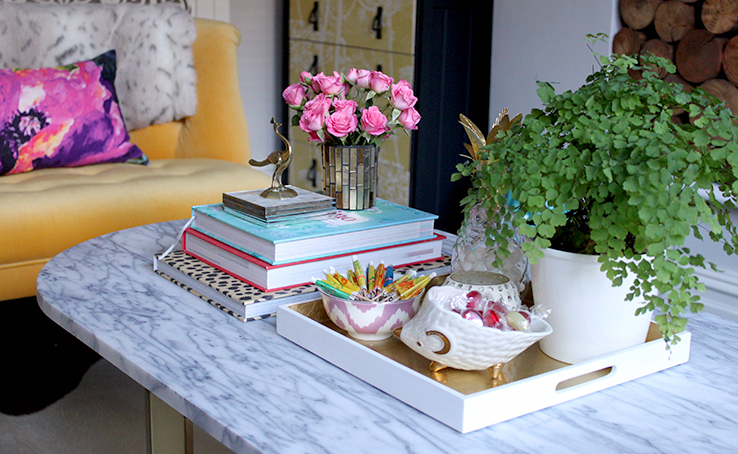 So how do you achieve the perfect coffee table, without it looking so staged? 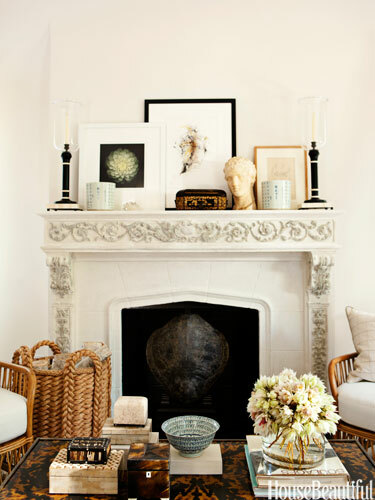 Start with a stack of books or a tray or even both to anchor your objects so they're not "floating." 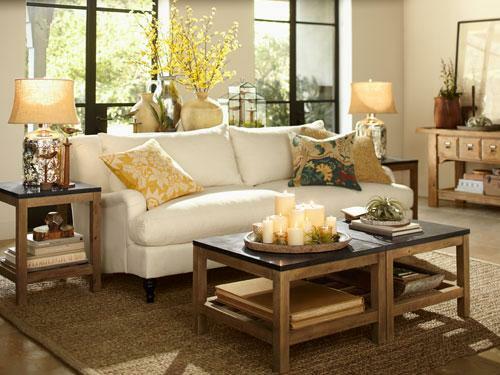 If your coffee table is square place a stack of objects at all four corners to anchor them. Add pretty boxes to hold remotes and loose items. Bring something natural to the table! A Plant or a piece of coral. Antlers are big right now! Something that feels organic. Of course you can't go wrong with some ambient lighting. A glass hurricane, lanterns or a cluster of candles are beautiful in the evening. Just make sure you vary the objects height to give it interest. Then to top it all off, add something quirky and fun! Something to show your personality! 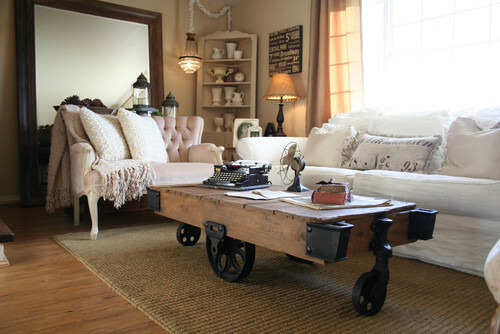 The antique typewriter and fan show the owner's love of antiques…not to mention the coffee table itself! 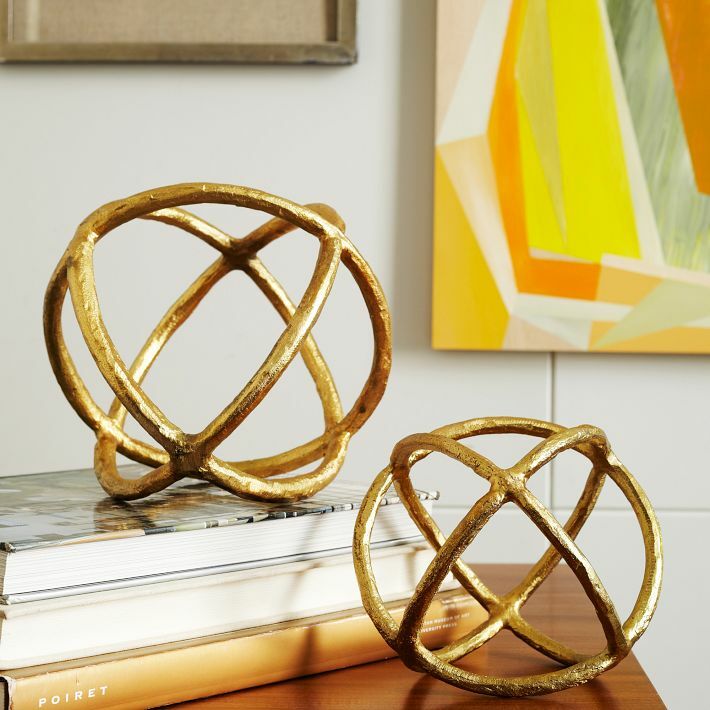 I love these sculptural spheres from West Elm. Place them on a stack of books or tray and you have instant interest. Remember in decorating layering is best. A home needs to feel collected. these are great tips! I just discovered your blog and love it, I cant wait to read more.